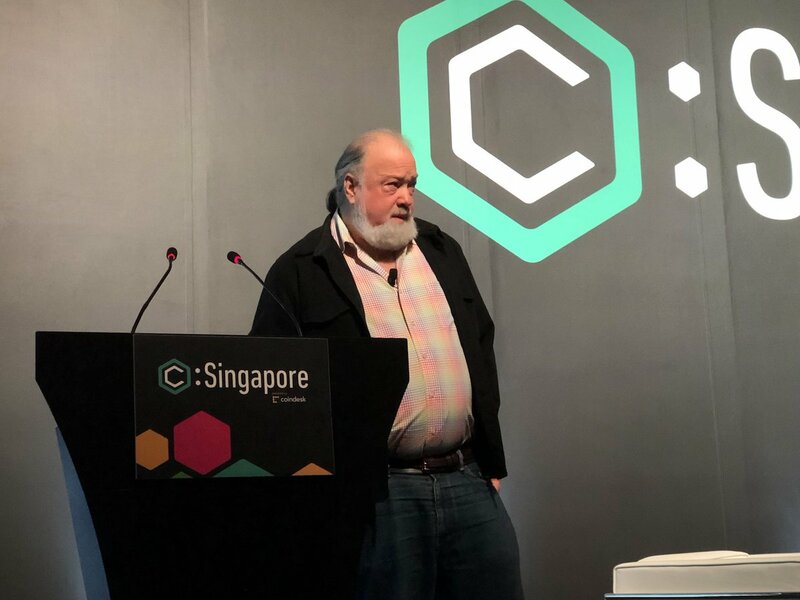 David Chaum, one of the cypherpunk movement founders is back with new technology that he believes will revamp the cryptocurrency industry. The grey –haired digital money pioneer is very passionate about the industry and hopes that his new technology will make it more profitable and ideal for millions of people from all across the globe. As reported by CoinDesk, David Chun is soon going to launch a new crypto called Elixxir through this startup company before the end of this year. His goals and objectives are bolder and mode defined. He is of the idea that the cryptographic techniques that he came up with a few years ago will help him reinvent cryptocurrency that will fix some of the critical and fundamental problems facing this industry such as privacy, speed, scalability, and tremendous resistance to future disasters that could cripple the entire industry. Notably, it seems that he has been preparing to surprise us all as he as being attending conferences across the globe and dropping hints about his new project without really revealing the full details. He statements in the conferences have sparked numerous theories about what he is planning or has being working on for the past couple of years. As mentioned earlier, this celebrated cryptographer took time to analyze the blockchain technology and realized that there are some problems lurking in the dark that could hamper the industry if left unresolved for any longer. One of the problems that he pointed out in a recent interview is the amount of time that it takes to for a transaction to be processed. Using his 30 years’ experience in payment and cryptography, he has developed a digital currency that will solve this and other similar problems completely. Note that he managed to develop eCash, digital money, way back before even internet gained traction. David Chaum has two solutions that will solve a majority of the problems facing the blockchain industry. One of the solutions is changing the digital signature. Before we proceed, it is important to note that digital signatures is the heart of cryptocurrency- it’s used to verify is a particular person is the owner of the cryptocurrency or digital assets. Chaum is of the idea that the current digital signatures are too complicated and computationally expensive. He also goes ahead to state that it is not possible to speed up the processes and improve scalability if every transaction done by a server has to be followed by generation and checking of a signature. His solution to this problem is by creating a system that will be able to generate the signature in advance thereby processing transactions a thousand times faster than all other blockchain networks in the world. That is the concept of Elixxir and David Chum hopes that it will give the currency a higher cutting edge in the market. The second highlight or unique selling point that place Elixxir miles ahead of competition is the nature of its public key cryptography. Concisely, it future proofs the digital currency for an era where quantum computers will take over the industry. A majority of digital currency architecture has loopholes that make them vulnerable to quantum computers. David Chaum strongly believes that Elixxir will not only be able to process transactions faster but also offer true privacy to the users. What are your thoughts about this new cryptocurrency? Let us know in the comment section. Thanks.